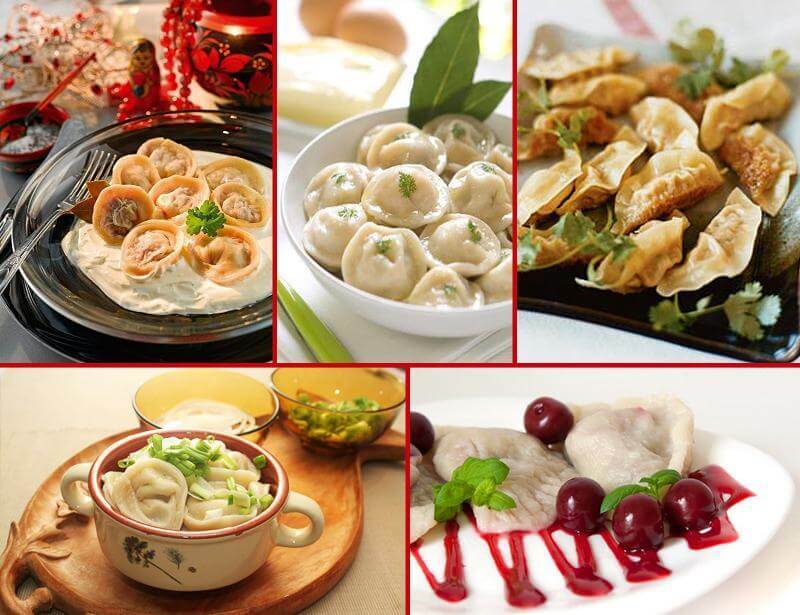 Varenyky (vareniki/dumplings) are known all over the world and Ukraine is the motherland for this wonderful dish. The national love immortalized varenyky in poems, songs, movies, and even monuments! 1) Varenyky are popular across the globe, and abroad they have other names, shapes, and fillings. 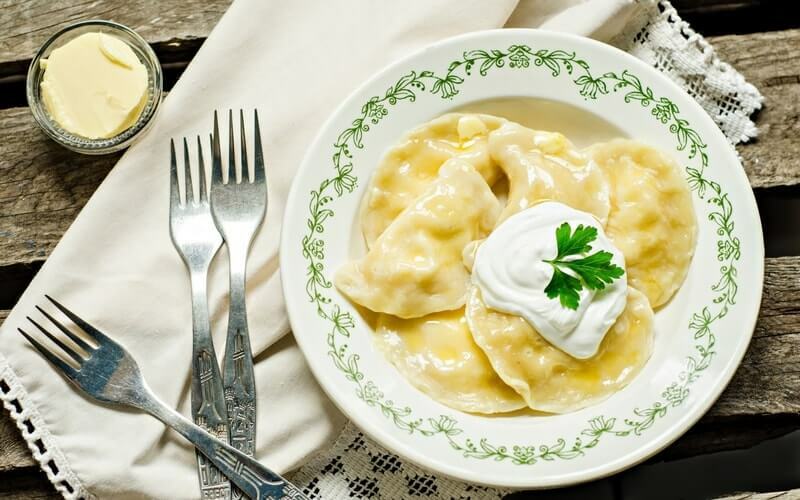 A traditional Ukrainian varenyk is twice bigger than a Russian pelmen and four times larger in size than an Italian ravioli. 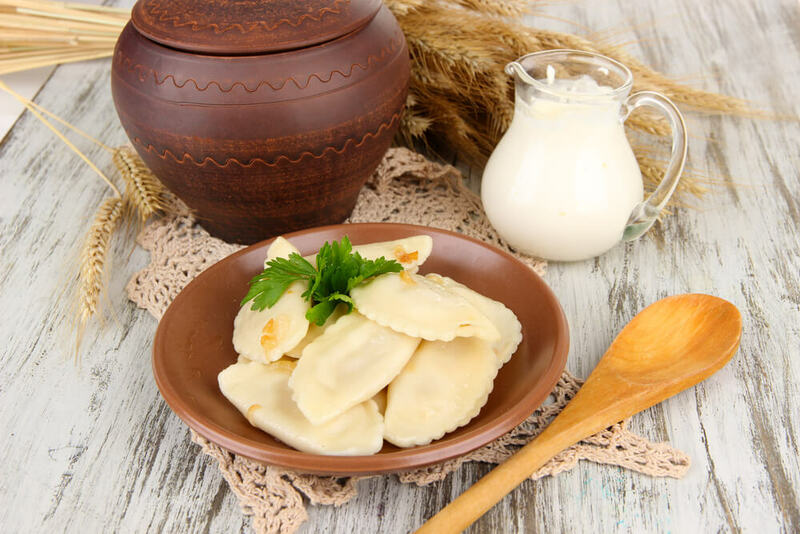 Ukrainian varenyky are half moon shaped, Russin pelmeni have a round form, and Italian ravioli have mostly a square shape. 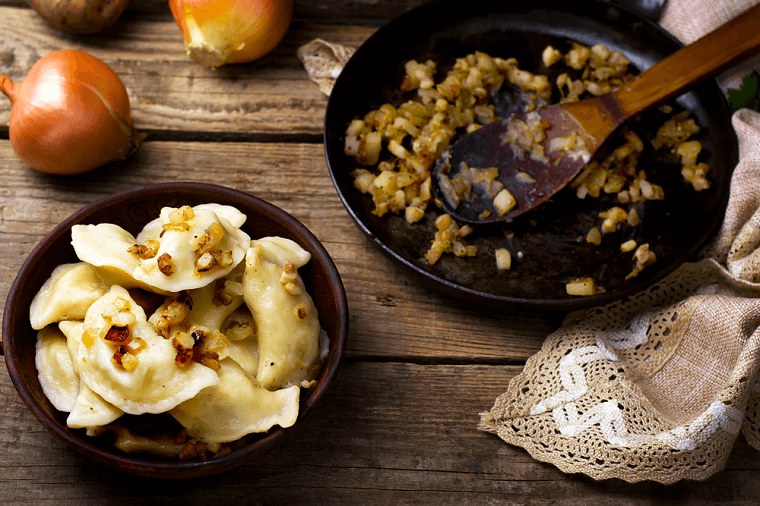 In Poland and Belarus varenyky are called kalduny and their recipes are similar to Ukrainian ones. 2) Famous Russian and Ukrainian writer Mykola Hohol often mentioned varenyky in his novels. Born in the village Sorochyntsi, in Poltava, he was fond of Ukrainian cuisine, varenyky in particular. 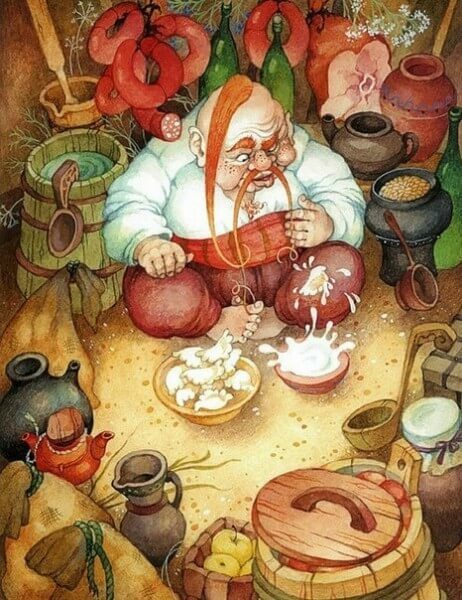 In his novel “Evenings on a Farm Near Dikanka”, Hohol described in detail the way Paciuk swallowed his varenyky with cheese and sour cream, while in his novel “Vii” the writer narrated about “giant” varenyky with the size of a hat and the diameter of 30-40 cm. In “The Fair of Sorotchinetz” Hohol also mentioned his favorite dumplings. He described the scene when Afanasii was eating incessantly varenyky and groping simultaneously his Fevroniia. 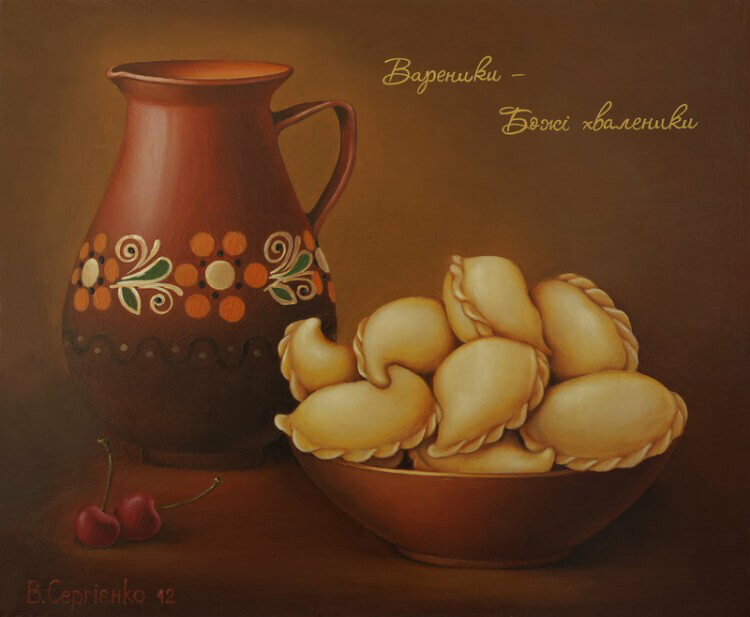 4) The name varenyky is nationwide, while the name “pyrohy” derives from Western Ukraine and has Galician roots. It is believed that this dish existed as far back as paganism and differs with modern views. 5) In Ukraine varenyky are not just a national dish, but also a special talisman. Ukrainian ancestors equated varenyk with a young moon since they have a similar form. They used dumplings as sacrificial food. For instance, varenyky with cheese were sacrificed near the source of spring water. 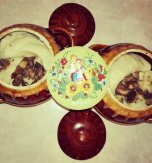 Years ago Ukrainian peasants also believed that varenyky helped bring a rich harvest, so they took homemade dumplings along to the fields. 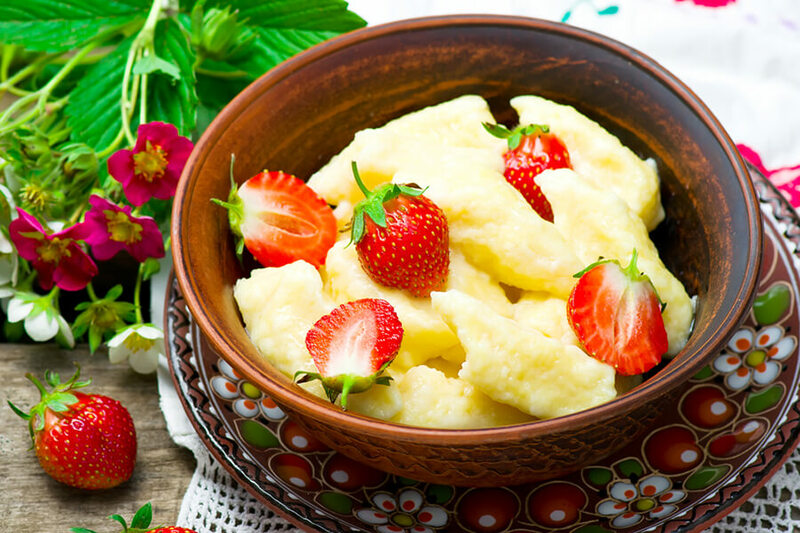 6) Ukrainian varenyky can be both the main course and the dessert. 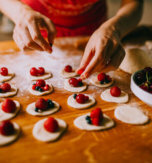 The most popular and widespread fillings are potato, sauerkraut, cracklings, cherries, bilberries, and many other fruits and berries as well as flour. Flour fillings were especially popular in Poltava. However, Ukrainian culinary heritage also includes some odd stuffings such as radish or fern. Combine flour, eggs, salt, and water/kefir (fermented milk product similar to yogurt) and knead the dough. Then set aside the dough for half an hour. Peel and wash potatoes. Boil the potatoes until done and mash them. Peel, wash, and chop a bulb onion. Rinse fern and cut it finely. Combine the onion with fern in a frying pan and golden brown them. Mix the ingredients with mashed potatoes. Roll the dough into a thin layer (2-3 cm) and cut out circles. Put the prepared filling in the center of each circle. Pull the sides together to form a moon and seal them tightly. Repeat until you use all the ingredients. Bring water to boil in a pan and deep the varenyky there. Boil until they come to surface. Serve cooked varenyky with a generous dollop of sour cream. 7) In 2006, the “Ukrainian Varenyky” monument was established in Ukraine, in Cherkasy. 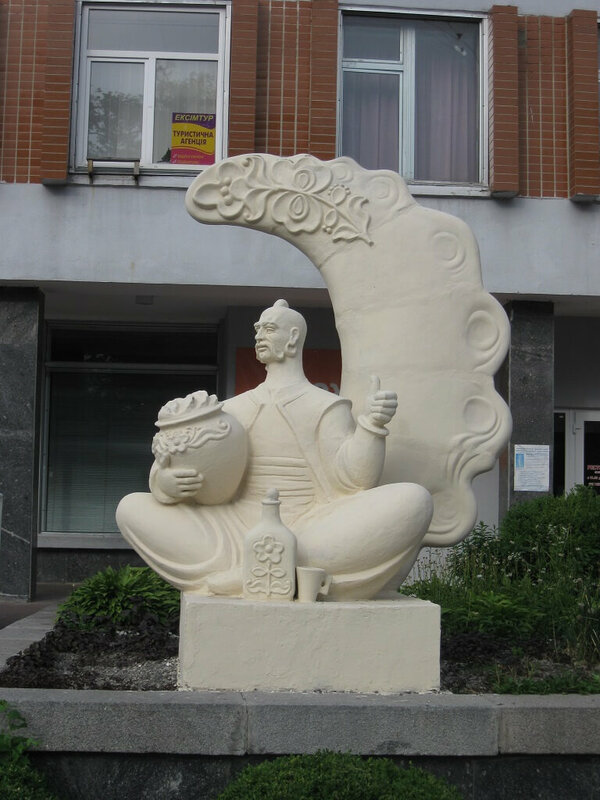 It was a statue of a cossack holding a bowl full of Ukrainian dumplings. However, in 2013 the monument was disassembled and is now kept in a private collection. 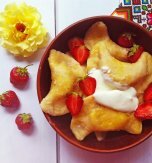 Varenyky are one of the most popular dishes among the Ukrainian expat community. 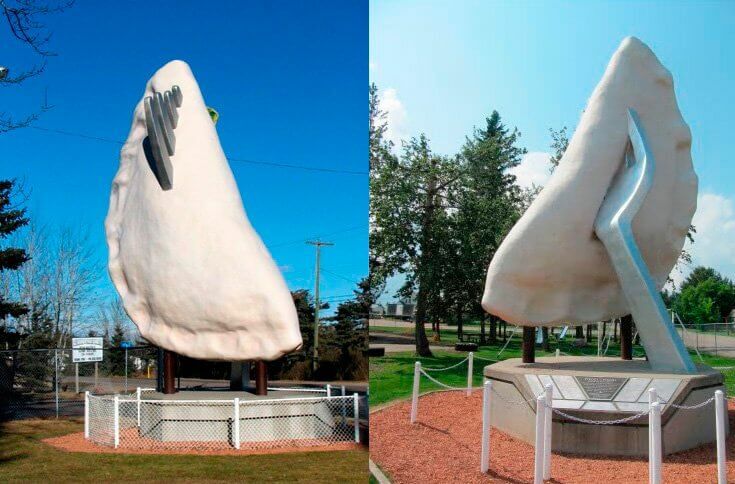 They were even monumentalized in Glendon, Canada. The monument is located in the central square and is considered to be the official symbol of the village. This culinary marvel is 9 meters in height and weighs almost 3 tons. 8) In Bukovel the festival of varenyky is held traditionally each year. In 2013 a snow monument for varenyky was made, and it entered the Book of Records of the hotel “Bukovel” as the biggest snow varenyk in the world. 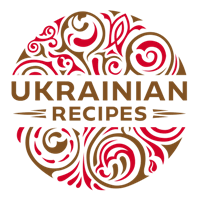 10) “Golden varenyk” – is a special award pin for the best cookery experts and candymakers in Ukraine (the pins are bestowed according to the results of the annual open competition). This award was founded in 1999. Since 2000 seven such pins have been given in different nominations. 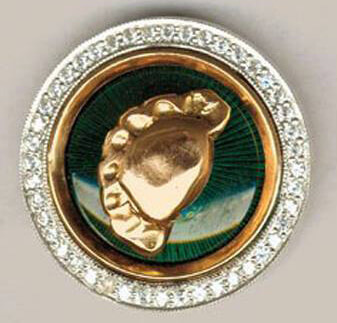 The first owner of this award pin was Oleksandr Henrikhovych Zvenyhorodskyi. 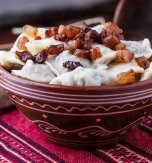 Have you liked the article about Ukrainian dumplings?